THE LOWER TREAVE BLOGWALL BUGLE: HELLO, HELLO, HELLO ...what have we got 'ere then? During the busy summer season, demand for Devon and Cornwall Police increases by around 35%. Extra demand can increase call waiting times to the 101, non-urgent telephone number. We hope guests have an enjoyable stay while visiting the area and don't need to contact the police. 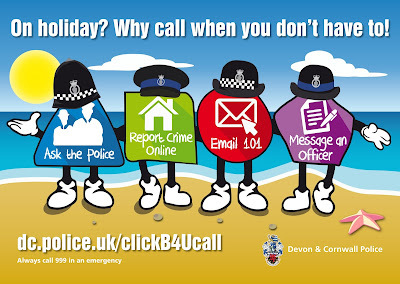 If for some reason you do and it is for a non-urgent matter, please be aware that in addition to calling 101, there are other quick and convenient options for people with internet connected devices. 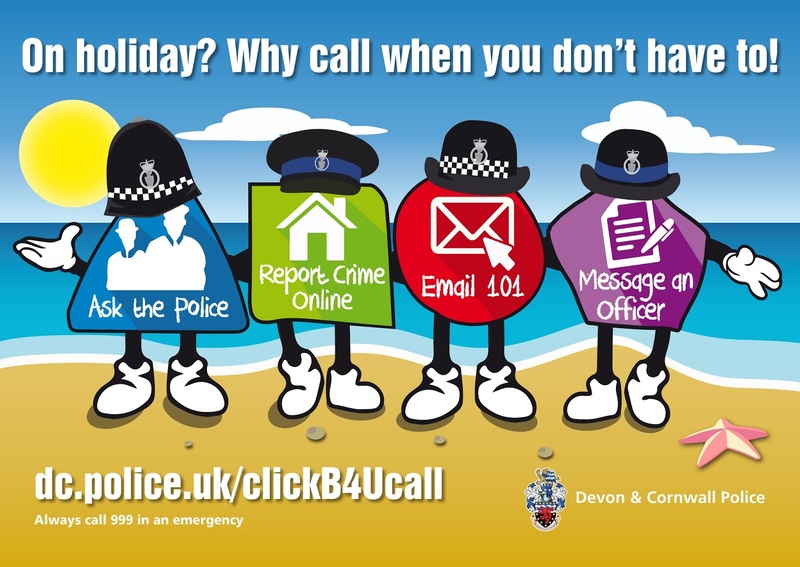 Visit www.dc.police.uk/contact for more details. Guests can report non-urgent crime online, as well as find the answer to hundreds of commonly asked questions using the Ask-the-Police facility on their website. For all other matters you can email 101@dc.police.uk.